Mark your calendar for April 4, the opening day of the Preston Castle Foundation’s 2015 Tour Season. The majestic Preston Castle will be open for guided historical tours most Saturdays, from 10 am to 1 pm, April 4 through September 26. There are also plans to be open on the 2nd and 4th Thursdays, during June, July, and August. Tours are $10 for adults, $5 for children under 12 years of age, and free for children less than 5 years of age. Visit the website at www.prestoncastle.com for more information and the specific dates that tours will be held. 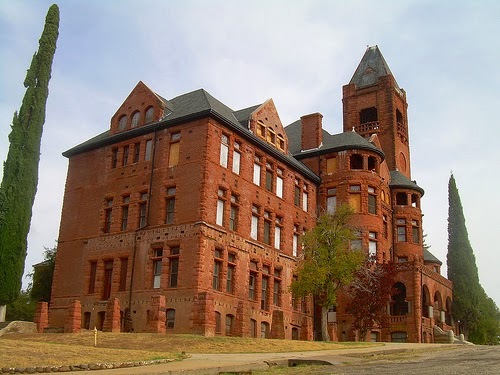 Last year, the tour season was cut short due to restrictions imposed by the State Fire Marshal, so many people missed out on being able to explore and learn about the Preston Castle. Now that the Preston Castle Foundation owns the property, the Castle can once again be opened to the public. So plan a visit to Ione and enjoy a tour of the Castle, including a visit to the Farm Museum. Admission: $10, $5 under 12, Free under age 5. The Monteverde General Store Museum, one of Sutter Creek’s most beloved and historical buildings, got a much needed fresh look recently, with new paint and store name. 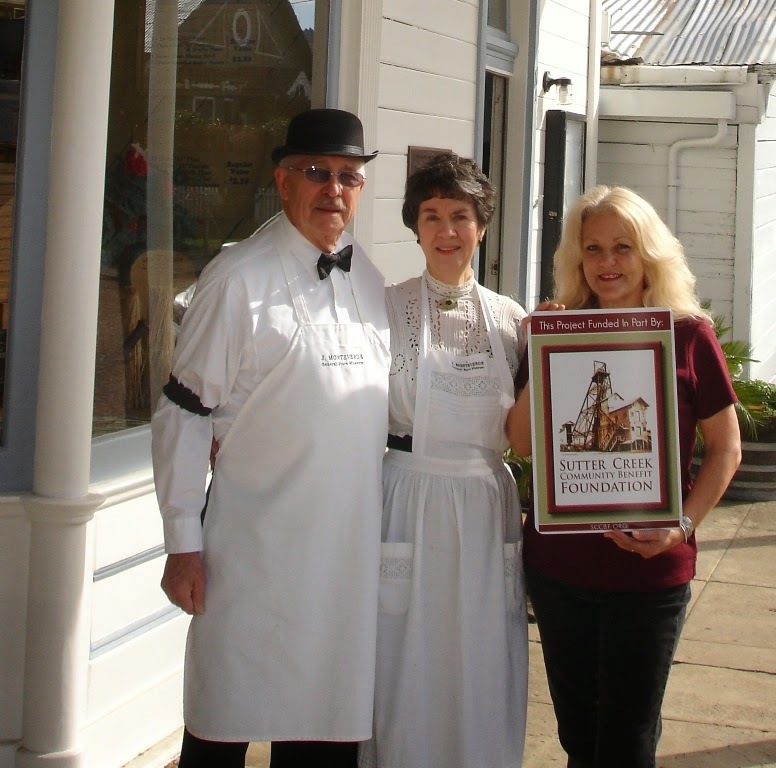 The City of Sutter Creek, Sutter Creek Community Benefit Foundation and donations from visitors and volunteers, made it possible for the Museum to look like new again. 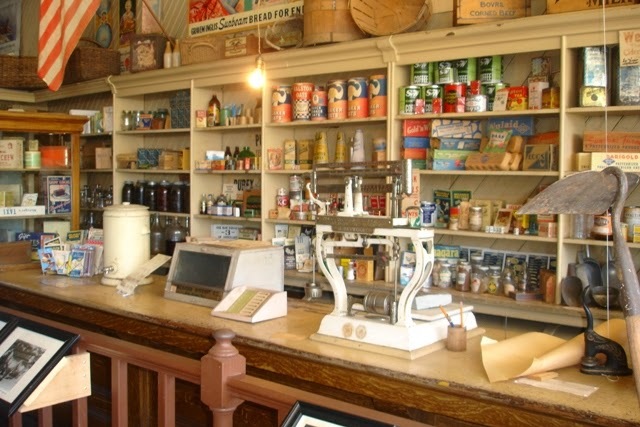 The Monteverde Museum, located in the heart of the California Gold Country and right on the 49'er Gold Rush Trail, is an excellent example of a perfectly preserved General Store from the mid 1800's. The picturesque Monteverde Store is a wonderful historical location that gives you a glimpse into how things were in the Wild West. This particular building, with all its history and significance to the people of Sutter Creek and their ancestors, is definitely a must see while in the Sierra Nevada Foothills. The lead Docents of the Museum, Bob & Faye Fyock, come dressed in period costume and tell the story of the old General Store so that you feel a part of the history of the building. The “Face Lift” was performed by local Amador County painting company ARJ, who went to work prepping the exterior and then giving the building its beautiful final coats of traditional bright white paint. The finishing touches were masterfully applied by local sign painter Erik Peterson, of E. Peterson Designs, who hand painted the Monteverde General Store lettering on the top of the building, exactly as it had been. The Museum is free to visit and generally open on weekends, through the generosity of volunteers. For a guaranteed tour, please call the Sutter Creek Visitor Center at (209) 267-1344. The Museum needs more volunteers so that we may have this lovely building open more. Please consider donating an hour or two a month to help keep the Museum open more. Don't forget to visit the small office next door to the Museum and see the history of Sutter Creek hand painted on the walls, by local artist Rand Hugget. This amazing mural, that covers the entire room, will walk you through the progression of how Sutter Creek came to be. To donate to the Sutter Creek Community Benefit Foundation, to keep projects like this happening, please visit www.sccbf.org. All donations are tax deductible. 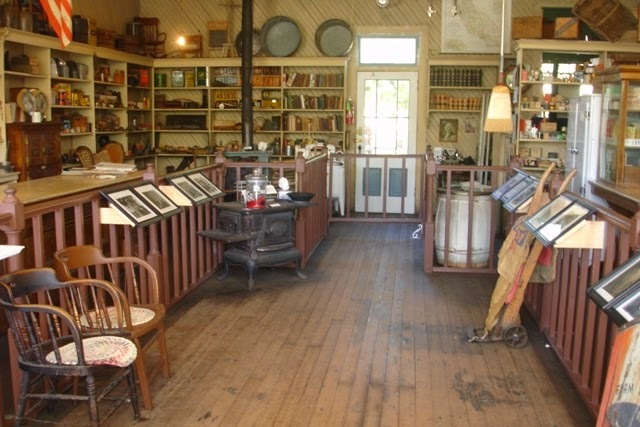 The Monteverde Store was opened by John Monteverde and his son John, as a country store in 1896 and still displays all paraphernalia of the past on its shelves. Dry goods, hardware, bulk products, apparel, patterns, even penny candy were on hand for local shoppers. Well preserved, it is now a museum. 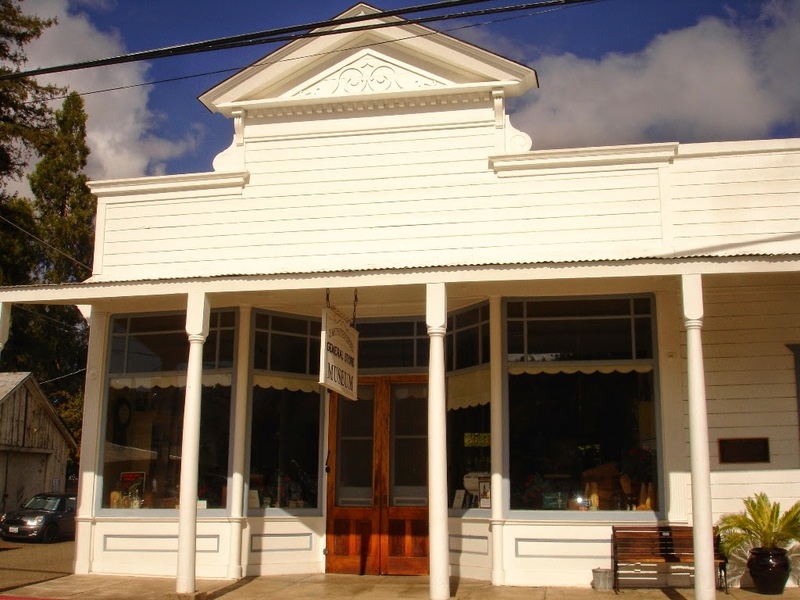 Over its counters and from the shed (now the home of the Amador County Arts Council), the Monteverde family sold all manner and description of merchandise. Their emporium also served as a meeting place for the housewives of the period. The existing old ledgers, written in spidery script, attest to the good and bad times that befell the citizens of Sutter Creek. The store was pretty much as you see it today. Dry goods on the west wall and hardware in the back behind the original cast iron pot belly stove. Groceries were on the east wall and the elevated office was in the rear. Each sale was entered into the day book, totals made at the end of the month, and bill handed to the customer. Over the years, the Monteverde store changed little from its early days. Brown paper bags and rolls of wrapping paper are still in place. An intricately carved and highly polished oak icebox is built into one wall, flanked by shelves stocked with clothing, books of wallpaper samples, cartons of hosiery and sewing goods. Across the room are the shelves of food. Some containers are still full and we don't exactly know what is in the mason jars. John Monteverde, Sr. was a native of Genoa, Italy who came to America in 1860. After arriving in San Francisco, he decided to cast his lot in the Mother Lode country and came to Sutter Creek in 1861. He became an American citizen on August 25, 1872. He worked in the gold mines for many years and later became a stone mason. Mr. Monteverde built many of the stone and cement walks around homes and on Main Street in Sutter Creek. John (unknown - 1918) and Rosa (1851-1943) had seven children: four boys: John (1873-1959) , James (Unknown - 1920), Joseph and Louis (1882-1961), and three girls: Mary (1879- 1972), Kathryn "Kate" (1885-1956), and Rose (1889-1978). The children were born and grew up in Sutter Creek. They graduated from Sutter Creek Grammar School, which is a National Historical landmark. 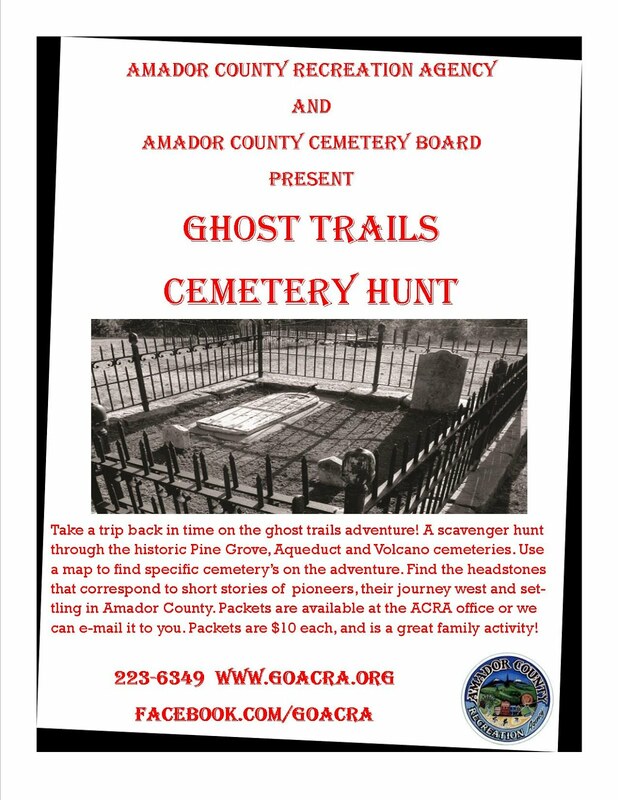 There were no high schools in Amador County at that time. After their father died on August 19, 1918, and due to her mother's failing health, operating the store fell to Mary. Meanwhile, Rose worked as a bookkeeper and secretary for the Central Eureka Mine until it closed in 1954. After the Eureka mine closed, Rose began helping Mary run the family business. The sisters closed the store on October 27, 1971. They put a hand-written sign in the window that stated "This store will be closed for a few days." This sign remained in the store window for over twenty years. After Mary's death on August 23, 1972, Rose was very despondent and alone. She lived until April 11, 1978. The city kept the store closed for many years before reopening it in 1992 as a museum. You can still see the original antique items still on the shelves. Preserved forever. 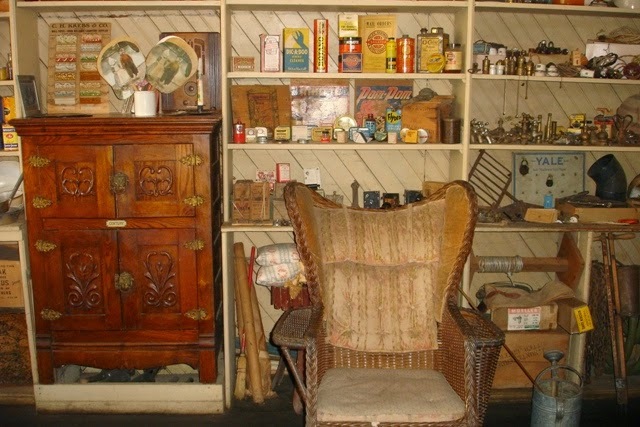 Call in advance for a volunteer docent-led exploration of the store and the history of the Monteverde Family. Don't forget to visit the small office next door and see the beautiful wall mural which depicts the early history of Sutter Creek.